Some 27,873 new patients had registered with the main cancer treatment centres affiliated to nine hospitals in the country in 2016, according to the National Cancer Control Programme. 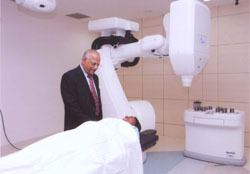 Statistics reveal that the number of detected cases of cancer had increased from 5,012 in 1995 to 16,963 by 2010. Reasons for this increase include Sri Lanka’s ageing population, an increase in the number of patients being screened and the increasing number of patients seeking treatment. While breast cancers represent 26.8 percent of cancer cases among females in the country, oral, lip and pharynx cancers accounted for 24 percent of all cancers among males.